Venture Philanthropy- the Evolution of High Engagement Philanthropy in Europe. This article looks at venture philanthropy and the Evolution of High Engagement Philanthropy in Europe. Copyright 2006 Skoll Centre for Social Entrepreneurship. 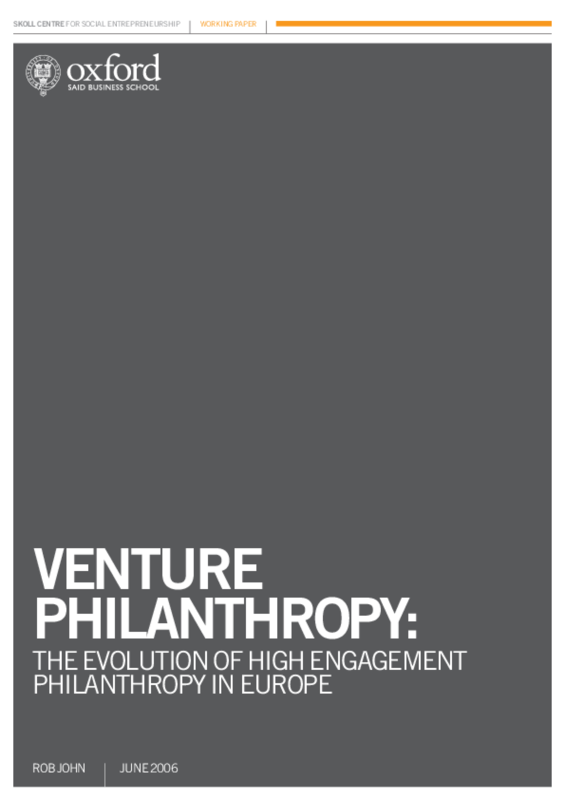 Title: Venture Philanthropy- the Evolution of High Engagement Philanthropy in Europe.